Posted November 15, 2018 . 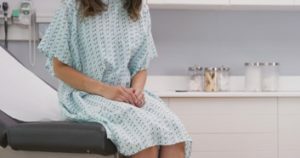 I’ve heard the same disheartening story from many young women, ages 18 to 20-something, about what happened when they bravely confided in their gynecologist at their annual pap that they were unhappy with the size or shape of their labia. Far too often, these women received a dismissive quip from their doctors about how “there’s no such thing as perfect,” implying with a shrug of their shoulders that any woman with this type of concern is overly-sensitive or abnormal. Of course, women come in all shapes and sizes. But these well-intentioned doctors are overlooking a vital wellness concern among their patients. Most women who are concerned about their labia aren’t looking for perfection. Large, stretched labial skin is often more than just a cosmetic issue. It can also be extremely uncomfortable, causing chafing, irritation, and pain on a daily basis. Many women are so secretly distressed about their labial skin that they feel burdened by it their entire lives. I am proud to perform labiaplasties for women of all ages. It’s not just women recovering from the trauma of childbirth or experiencing menopause who need this procedure. Younger, fully-grown women who experience significant emotional distress and discomfort due to excess labial skin may also be prime candidates for this life-changing treatment. I am board-certified by the American Board of Obstetrics and Gynecology, with a subspecialty certification in female pelvic medicine and reconstructive surgery. I am also a leader in female genital cosmetic surgery (FGCS) and proudly perform expert labiaplasties and revision labiaplasties (to correct the work of other surgeons). My urogynecological and surgical expertise enables me to successfully perform a wide range of surgeries and treatments to help correct many other functional and aesthetic concerns, as needed. You don’t have to suffer in silence. If you are interested in learning more about labiaplasty or any other treatment, don’t hesitate to call us! We are here to help. Please call 303.322.0500 or request a personal consultation today.